New kitchen or bathroom? New boiler? Home extension? 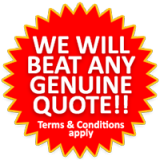 We’ll beat any quote! A broad range of property services that cover all aspects of property maintenance. Our plumbers cover 24/7 emergencies too. From gas certificates to boiler repairs and installations, to property works - including new bathrooms, new kitchens, full refurbishment or property conversion, you can rest reassured that we can cover all your requirements in Doncaster, Rotherham and across the whole of Yorkshire. Call 07564 077 864 now to see how we could help you! Copyright © 2015. Created by Formed.